Many people will see this as a strange statement, from an ardent Brexiteer and one of the more prominent leave voices during the referendum campaign, but Liam Fox wants the EU’s help to fight tariffs from the US. Mr Fox wants to EU to help the UK out over the 25% import tax on steel and 10 % on aluminium introduced by the Trump administration. Trump’s move has raised concerns that the US is planning a widespread trade war, which could expand into other sectors, which could severely damage global trade. 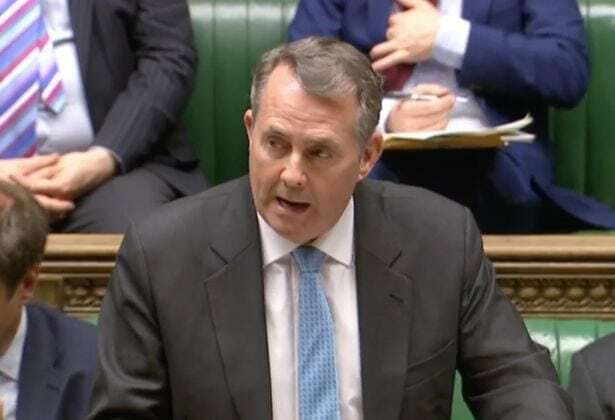 Speaking in Parliament Fox said: “We do disagree with the US decision to implement tariffs on steel and aluminium imports based on national security considerations. “It is important that the UK and EU response works within the boundaries of the rules-based international trading system. The tariffs will come into effect on March 23 and could severely damage the steel industry in the UK which has already fallen on hard times in recent years. The country’s steel sector is still recovering from the 2015 Chinese steel dumping crisis that led to the devastating closure of the SSI plant in Redcar. Tory MP Simon Clarke, for Middlesbrough South and East Cleveland, slammed the income tariffs and indicated a trade war over steel prices would make everyone poorer, globally, and would be an “act of huge economic and political self-harm” for the US.